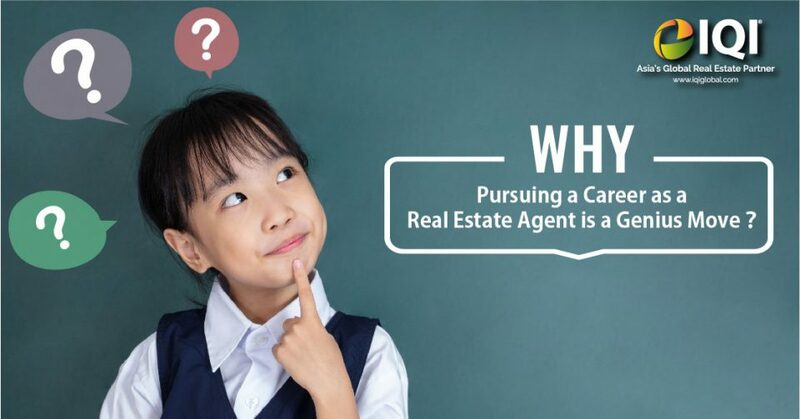 A common misconception that many people have is that being a real estate agent means living a life of uncertainty; that since real estate agents don’t earn a regular salary, the job itself is not lucrative. This is simply not true. Like any job, the real estate industry can be very rewarding when you do your job well. Many real estate agents earn very well and live comfortable, fulfilling and prestigious lives because of it. It’s a job filled with possibilities, of growth, of betterment and of a secure future. That’s why pursuing a career as a real estate agent is such as genius move. But how can you go about this? What do you need to do to become a successful real estate agent? This is what we will be discussing in this article. First off, you should know that in Malaysia when it comes to dealing in property, the two most common professionals you will meet are Real Estate Negotiators (REN) and Real Estate Agents (REA). Their jobs are somewhat similar, however their responsibilities differ greatly. We’ll be talking about the steps you need to take to achieve advancement in either job. You must be attached to a registered firm on a full-time basis. You must attend a two day Negotiator Certification Course (NCC) being held by any training provider approved by the BOVAEA (Board of Valuers, Appraisers and Estate Agents). They should be listed on the BOVAEA website. After that you must submit a prescribed form together with the letter of employment/ engagement and NCC certificate, through the registered firm. Once the application has been approved by the BOVAEA, they will issue and deliver a REN tag to the registered firm. 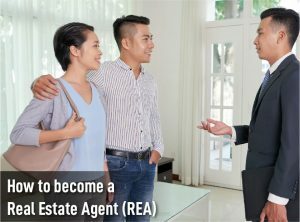 To be a registered REA in Malaysia, you must sit for a two-part real estate examination offered by the BOVAEA, serve a two-year apprenticeship with a registered real estate agent and pass an oral examination. After passing this test, you will be qualified as an estate agent and can be registered to practice on your own. You must be a Malaysia citizen. You must be at least 17 years old or older. You need to possess a SPM/MCE qualification with at least 5 subject passes where at least 3 of them should be credit level passes. You must attend minimum 90% of all classes conducted. You will be assessed based on your grades from class participation, written assignments and exams. You are encouraged to take all or at the least 2 of the 6 subjects in the respective parts at one exam sitting. Credits are given for the subjects passed, which shall lapse at the end of the third year. As mentioned before, a pass in all subjects in Part 1 of the examinations will make you eligible for part 2. You must take the Part 2 examinations not later than 5 years after passing all the subjects in Part 1 of the examinations. If you pass all 6 subjects in Part 2, then you will be eligible to take the Test of Professional Competence. 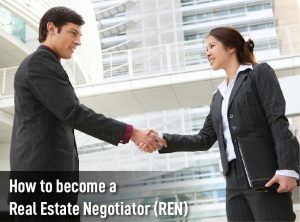 Now that you know how to become an agent and negotiator, you can pursue this at your leisure. And, whether you choose to be an agent or negotiator, you can be assured that you will have a future filled with infinite possibilities. Want to know more about a career in real estate? Talk to us, send us a message at hello@iqiglobal.com or call us at 012-299-6155 or 03-7450-6655.